Founded in 1998, the company originated as a business-to-business furniture retailer, supplying café furniture direct to hospitality owners. Diversifying its offering, the company began importing European furniture that conjured a warmth and sophistication that resonated with Australian customers. This distinctive approach proved successful and the business expanded into Brisbane in 2003. With the acquisition of Insitu Furniture in 2013, the company rebranded to Café Culture + Insitu. A new showroom in Melbourne and the addition of brands such as Hussl, Plank, Zilio and Casamania, established the business as a leading Australian furniture and lighting supplier. In 2016 Café Culture + Insitu moved into a new flagship showroom in Redfern, Sydney. 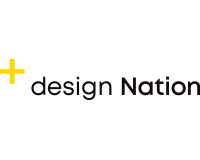 The space served to re-energise and reconnect the business, and ultimately led to its most exciting and bold development yet: the launch ofDesign Nation.